Up to the age of eighteen, Lydie has followed a classical pianistic course, showing brilliant and precocious aptitudes. She gave her first recital at ten at the “Printemps Musical de Silly” in Belgium and her first concert with orchestra at thirteen, with the “Orchestre de la Garde Républicaine”, at Radio France, the concert being broadcast on France Musique. At fifteen she was chosen by Paul Meyer and Eric Lesage to perform chamber music concerts, at sixteen she came to the attention of the conductor Myung-Whun Chung, between seventeen and nineteen she toured several times South Korea (Seoul, Daejeon) where she gave recitals (with a CD produced by Dichter Liebe Classics) and concerts with an orchestra under the conduction of Gum Nanse (with a TV and radio broadcast in Korea). At eighteen Lydie started exploring other fields of experience. After preparatory classes at the « lycée » Henri IV, Lydie was admitted at ESSEC business school, from which she graduated in 2006 with an MBA. Up to 2007, Lydie still played classical music in public, giving recitals (La Charité-sur-Loire, Silly, Madrid…) and chamber music concerts, in particular with renowned artists such as François-René Duchâble (Annecy and Biarritz), François Salque (La Chaise-Dieu) and Laure Favre-Kahn (Val d'Aulnay). 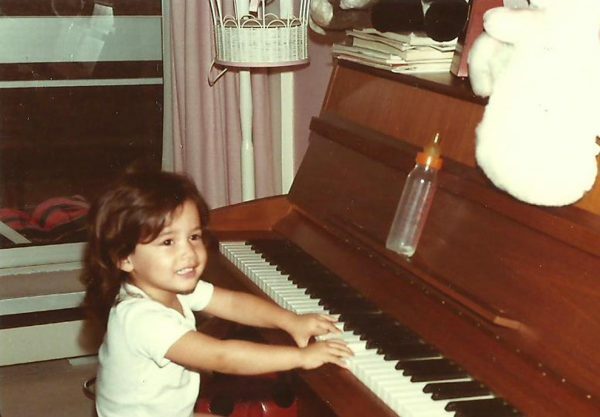 She then interrupted her pianist career during three years. She discovered the movie scene, studying at the “Cours Florent” and being trained to the Actors Studio technique. As an outcome she acted (under the Lydie Waï pseudo) as a pianist in an autobiographic role in Yvon Marciano's full length movie “Vivre !”, released on the screens in France in 2009 and in Russia in 2010. 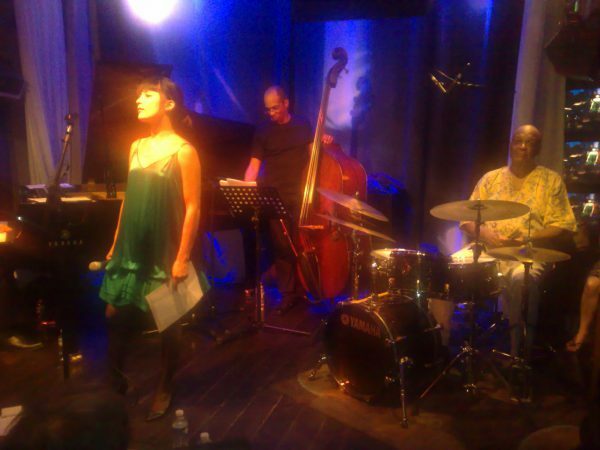 From 2008 to 2010, Lydie (Waï) wrote and sung her own compositions, recorded in a CD (« Harmonie ») with an American, Argentinian and Brazilian rhythm section, and performed concerts as a singer. Enriched by these complementary experiences, allowing her to broaden her understanding of the music environment, to develop a theatrical personality and a sense of communication, and to strengthen her artistic maturity, Lydie celebrates her comeback to the piano scene in 2011 with a recital at the Salle Gaveau in Paris, with « Eldorado, from Padre Soler to Piazzolla », published by Intrada. « Eldorado » was highlighted as « coup de coeur » by the journalist Alain Duault on RTL (2011-06-19) and was the subject of a presentation in the French TV program « C à vous » on France 5 (2014-03-07), and of articles in the French newspaper L'Est Républicain (2012-05-26) and the French magazine Jazz Hot (2013-01-06). Since her album was released, Lydie Solomon has given more than 50 « Eldorado » recitals. In 2012, she toured Cuba. The tour was reported on Cuban TV channel Cuba Visión (2012-05-04) and Radio Habana Cuba (2012-04-30). Her « Eldorado » program was also a success during her September 2014 tour of Mexico, with both the audience and the media (Milenio, 2014-09-21; El Universal, 2014-09-22; Opus 94, Instituto Mexicano de la Radio, 2014-09-22). 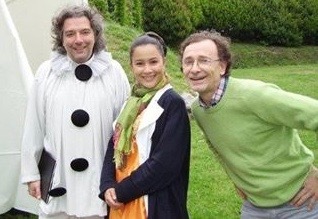 In the last quarter of 2012, Lydie performed a new program, « Romantic » (Bach, Chopin, Schumann, Liszt, Granados, Fauré…) in which she created her composition, Rhapsolydie (American Cathedral in Paris, Théâtre de l'Île Saint-Louis in Paris). In June-July 2013, Lydie Solomon unveiled her brand new program, « From Chopin to Cuba », which she performed 8 times in Paris («Play Me I'm Yours – Des pianos dans Paris» Festival, June-July 2013; Théâtre L'Archipel in Paris, 2013-07-09 and 10), but also later on again in Paris (Espace Georges Bernanos, 2014-01-24), then in Biarritz (Hôtel du Palais, 2014-06-15), in the French Pyrenees (Domaine de l'Eglantière, 2014-08-20), in Mexico (Museo Nacional de Arte, 2014-09-20). Lydie explores the influence Chopin had on Cuban music, through his friend Julian Fontana. Besides, Lydie Solomon unveiled in this program her new composition, « Invocation ». She was invited to talk about her program on Radio France Internationale (« La Bande Passante », 2013-07-30) and Radio Libertaire (« Les Jardins d'Orphée, 2013-07-13). – in Poland (Tygodnik Płocki, 2015-01-13; Gazeta Wyborcza, 2015-01-30). – in the United Arab Emirates (« Chopin's Journey » program in Abu Dhabi and Al Ain, 2014-10-14 and 15). Still passionate with acting, Lydie Solomon plays Sophia Kaplan, a gifted but naive young criminologist, in the French TV series Profilage (Season 4, episode 11, « Dans la Lumière »), which was broadcast on TF1, with a record 8 million viewers. Long piano classical pieces: « Rhapsolydie » (2012, played in various concert places in Paris); « Invocation » (found in her « De Chopin à Cuba » CD, 2014). With « De Chopin à Cuba », she put her fingers on the pivotal trio who made Chopin's music being transmitted to and absorbed by Cuban composers: Frédéric Chopin – Julian Fontana – Nicolás Ruiz Espadero. Lydie's spiritual quest, which is upstream of her artistic path, drew the attention of the French media: Le Parisien/Aujourd'hui en France (« Lydie's Quest for Truth », 2011-12-24); the TV program « V.I.P. » on KTO (2013-04-27); the radio program « Ecoute dans la Nuit » on Radio Notre Dame (2012-06-05 and 2014-09-12).